Local CEO Devadas Krishnadas has asserted that Oxford University student Darrion Mohan who took on Malaysian Prime Minister Dr Mahathir Mohamad at a forum last Friday was not the right representative to hold up Singapore’s position and that the Oxford Union where the exchange took place is not the right forum for such a purpose. 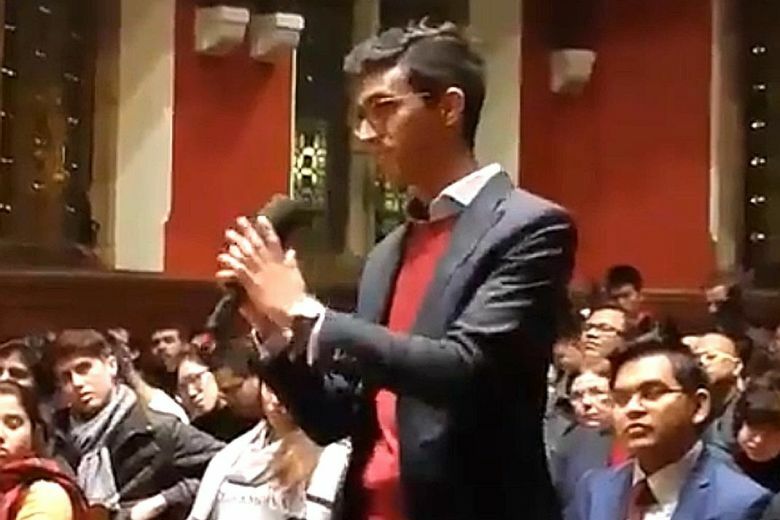 A video went viral last week showing an exchange between Dr Mahathir Mohamad and Singaporean Darrion Mohan, who is a second-year history and politics undergraduate at Oxford University. According to the national broadsheet, Darrion used to intern at Singapore’s Ministry of Foreign Affairs between January and March 2017. Dr Mahathir chose to debate with Darrion on the issue of the 1962 Water Agreement and said that the deal was unfair to Malaysia. The exchange between the PM and the student quickly went viral with over 340,000 views, with many Singaporeans showering praise upon Darrion for his bravery and intellect to champion Singapore’s position at the forum. The chief executive of consultancy firm, Future-Moves Group, Mr Devadas Krishnadas shares similar views. Mr Devadas has formerly worked at the Ministry of Finance and the Ministry of Home Affairs, according to his LinkedIn profile. Mr Devadas wrote: “Many Singaporeans are cheering this young man for challenging Dr M. I am not one of them. First, the Oxford Union is a fora inconsequential to settling the bilateral dispute. “Second, ‘Sand bagging’ Dr M when there is nothing to be gained is youthful brogaddacio not intelligence. “Third, by referencing the utterly discredited and defeated Najib Razak, the young man demonstrated his naivete of which the wily Dr M took immediate advantage. “Fourth, by offering Dr M a menu of issues to respond to rather than a laser focus on one item, he allowed Dr M, a political giant, to pick and choose his battleground and he of course, chose the water agreement. “Fifth, be conceding that the agreement is unfair to Malaysia the young man lost whatever moral ground he had. “The upshot is that Dr M came off looking Statesman like and having a moral case while the ‘brave’ young man personified exactly what Singapore is often accused of being – arrogant, self regarding, relentlessly logical of its position but simultaneously careless of those of others and a shameless profiteer of its neighbours resources. Had a great exchange with Malaysian PM Tun Dr Mahathir at the Oxford Union, where I asked him about the ongoing maritime dispute between Singapore and Malaysia. Dr M responded that the 1962 Water Agreement is unfair to Malaysia. During our exchange, I understood his argument to mean that it was unfair for Malaysia to sell untreated water to Singapore at 3 sen per 1,000 gallons but buy treated water from Singapore at $60 per 1,000 gallons. Thinking that $60 per 1,000 gallons seemed strangely high, I subsequently double-checked this. It turns out that that Dr M was referring to the price at which Singapore's PUB sells water domestically (approximately RM 60 per 1,000 gallons). Singapore sells treated water to Johor at 50 sen per 1,000 gallons. Dr Mahathir thinks this is unfair but I disagree. Given that it costs Singapore RM 2.40 to treat 1,000 gallons of water, Singapore subsidises the water by RM 1.90 per 1,000 gallons. Johor sells this treated water to Malaysians at RM 3.95 per 1,000 gallons – meaning Johor earns a profit of RM 3.45 per 1,000 gallons.Dr M also noted that Singapore has bought water from Malaysia at a fixed price of 3 sen per 1,000 gallons since 1926, and that Singapore has stopped Malaysia from revising the price. This is also inaccurate. Singapore has purchased water at this price since 1962. Under the 1962 Water Agreement, Malaysia had the right to review the price in 1987 (when Dr M was PM). 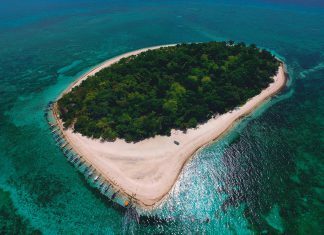 Malaysia chose not to do so.Furthermore, as Singapore's Foreign Minister noted in Parliament earlier this week, Singapore is obliged to sell Malaysia 5 million gallons per day (gpd) of treated water but out of goodwill supplies 16 million gpd. Two weeks ago, at Johor’s request, Singapore further increased the supply of subsidised water to 22 million gpd. In 2018, also at Johor’s request, Singapore supplied more than the usual 16 million gpd for 20 days. All the additional treated water has been supplied to Johor at the subsidised rate of 50 sen per 1,000 gallons, as per the 1962 Water Agreement. I hope that the Mahathir government reciprocates this spirit of goodwill demonstrated by Singapore and approaches negotiations over the airspace and maritime disputes with a constructive attitude. Finally, during our exchange, Dr M repeatedly referred to the disputed waters off Tuas as “international waters”. This contradicts previous statements from both Dr M  as well as the Malaysian Transport Minister , who stated that the disputed waters within the new Johor port limits are Malaysia’s territorial waters. Dr M’s concession that these are in fact international waters significantly undermines Malaysia’s initial claim. https://www.channelnewsasia.com/news/singapore/singapore-malaysia-maritime-dispute-port-limits-timeline-11006762 https://www.channelnewsasia.com/news/singapore/survey-malaysia-singapore-border-mahathir-johor-port-limits-10999380NB: Re-posting as my initial post misinterpreted Dr M's argument about Singapore selling water for $60. Thanks Jarel for pointing this out.